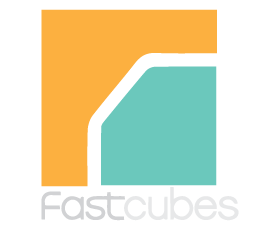 Fastcubes Workstation Office Cubicles provide employees with a larger workspace and more room to add storage options. 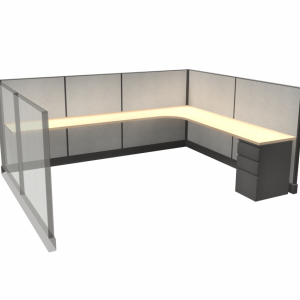 With Workstation Office Cubicles, companies can give their employees privacy while still creating an office environment that promotes communication and collaboration amongst employees. 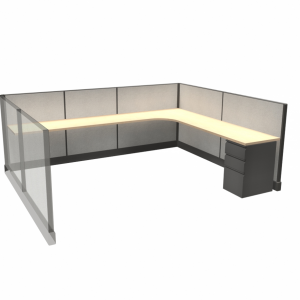 All options are available and ready for customization. 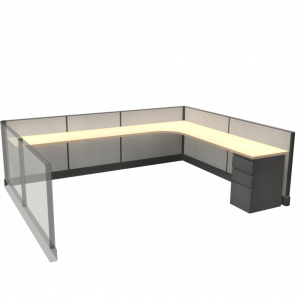 Our sales team will help you choose the perfect layout for your business. Please note third panel is transparent in some images to see storage options.